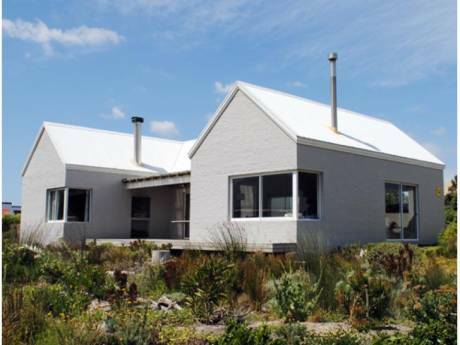 Our house is built for entertainment and the relaxed enjoyment of an indoor/outdoor lifestyle. 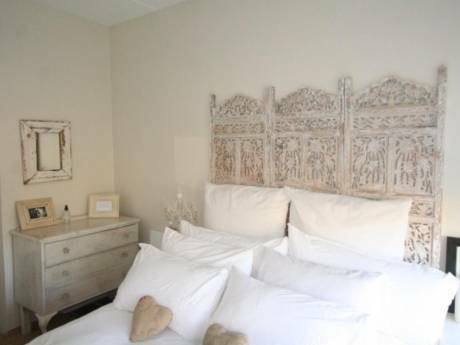 It has many natural and rustic elements, such as cool wooden floors, white cotton bed linen, wood and reed ceilings. Five french doors open onto the lush and beautiful garden filled with roses and flowers. Our outdoor dining area has a barbeque and small swimming pool. We have 2 children, 2 dogs and 2 cats, so our ambiance is friendly and comfortable. My name is Wendy and I am a hoticulturalist and landscape gardener, my interests are wine making, beekeeping and reading. My husband Andre is a builder and enjoys golf, sailing and tennis. My 15 year old son is into mountain biking, music and computers. My 13 year old daughter has her own horse on a farm 3 mins away and lives for all things horsey. We have a bull mastif and a beautiful golden retriever who are very much part of the family; and 2 very lovable cats. 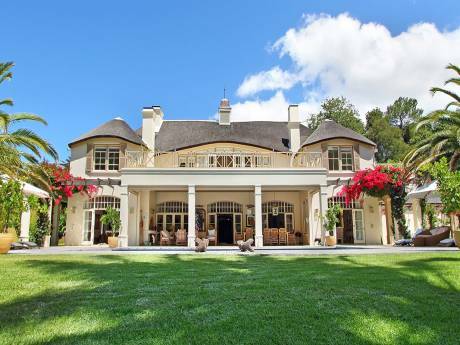 Our house is situated in the historic town of Stellenbosch, well known for its beautiful Cape Dutch architecture. It is half an hours drive from Cape Town, the capital city, and twenty minutes from the nearest pure white sandy beaches. Stellenbosch itself is an agricultural town, surrounded by mountains and historic and modern vineyard estates which produce the regions best quality wines. The nearest estate is walking distance from our house!